Are Baggy Jeans the New Skinny Jeans? When I was growing up, wide legged jeans was the CRAZE! I remember when my oldest sister got a new pair and was running up and down the hallway showing them off. But soon skinny jeans came and stole all of its thunder! All my flare and boot cut jeans were put to shame by the now trending skinny jeans. And let’s not get into how high-waisted jeans made the skinny jean even more popular. But is there a new contender in the game? Since I shop at thrift stores, I often find jeans that are oversized. I typically grab a few for the sake of DIY projects. But this time I decided to actually rock my jeans baggy. Not just the boyfriend fit, but the waist, hips, thighs, and ankles were all several sizes too large. And I was honestly in love. There is something so free about not being worried that everything fits perfectly to your body. Which y’all know is a struggle for me since I have #curvygirlproblems. So what’s the perfect way to rock those baggy jeans? I prefer baggy on baggy. Baggy jeans with a baggy tee of button up with a slight tuck will always be a winner. Paired with a final shoe, a simple two strap heel, or ever a little simple boot like I did. And last, an equally oversized trench can really pull the look together. 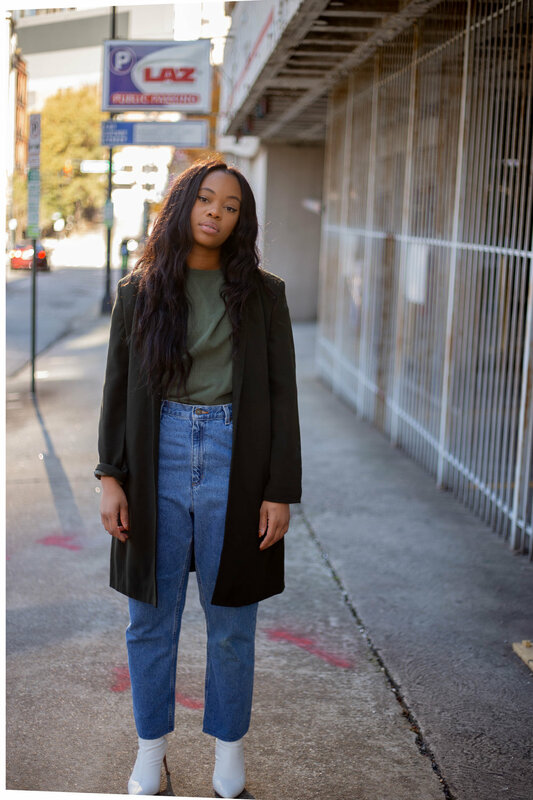 To find your perfect pair, head to a thrift store or search for mom jeans at stores and get a pair that are a few sizes to big.